Join us for the Bob Mansbridge Memorial Ride on 11th June 2017 in aid of Parkinson’s UK. The rides will take you along the picturesque lanes of mid Cornwall, and have been designed to give you plenty of opportunities for refuelling. This year we have 4 choices of distance – including a 25 mile ride for less experienced/younger riders. 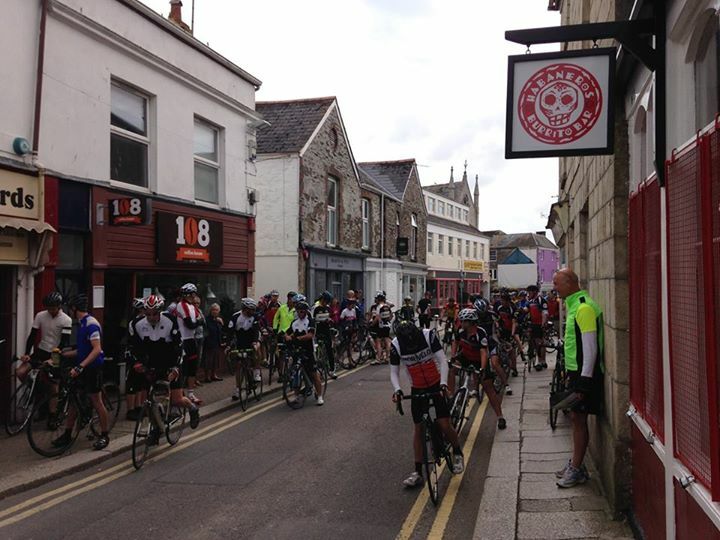 Rides start and finish at 108 Coffee House, Kenwyn Street, Truro, TR1 3DJ. 40 km route: Truro, Bissoe*, St Agnes*,Allet, Truro. Entry by minimum donation of £10.75 in advance or £12 on the day, £5 for under 16s. *the 160km and 100km routes are the same as last year. The 55km route has some changes. The 42km route is new. ** GPXs of the routes are also available, but you’ll need to sign up online!